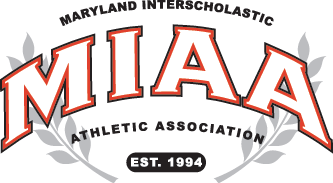 One team forging a return to past glory and another looking to make a rare appearance in the MIAA A Conference lacrosse playoffs met on Tuesday in Roland Park and host Gilman the rising star of No. 12 Archbishop Spalding, with a 14-4 rout. Sam King netted a hat-trick to lead a very balanced Gilman (7-2) scoring attack, as four Greyhounds scored two or more goals. Andy Andrews, Will Godine and Pierce Washburn all had two goals, with Andrews adding an assist. Casey Doyle added one goal and one assist and Jack Tortolani had a pair of assists. Gilman also got single goals from Logan Paff, Tyler Witherspoon, Dutch Furlong and Jed Brummett. James Schroeder added an assist. Josh Tang, Will Sherwood, Michael Weisshaar and Tucker Denault all scored single goals for Spalding (6-4) and Russell Melendez delivered an assist. Gilman now moves forward to a huge league match-up with second-ranked St. Mary’s on Friday in Annapolis. Spalding will McDonogh on Friday.